What do you do when you lose your swim fin out in the water? Most people don’t think of this until it happens. There are a few smart things you can do to recover it and even prevent this from happening next time. 3 How To Prevent This! Okay, so the situation is that you have lost your swim fin out in the waves and ocean while you were bodyboarding, swimming or bodysurfing. First, just to know when you are looking, you have better odds if you have a floating fin (see prevention, below) so keep that in mind. Step 1 As soon as you lose it and it falls off your foot, stay put in that area out in the water and see if it surfaces around you. A percentage of the time it will in fact pop up close by you. It’s a viable recovery and maybe happens 10-20% of the time. Wait in this area for a good minute or two. Step 2 After that, if a few waves pass by you and you don’t see your fin, go to the beach and stand on the sand. If your fin has not surfaced and a few waves have gone by, most likely the fin has now passed by you with the current of the waves and your chances are better on the sand where you can now get a bigger visual and be able to scope a wider range of the ocean. Get to a high level on the sand or surroundings and keep an eye out for your fin in the water. Give this a good ten minutes. Step 3 Watch for what the current is doing. Is it a south swell that would be pushing the water north? Is it a north swell that would be pushing the water, current and your fin south? Is there a jetty on the south end that would be pushing your fin north? If you have not found your fin in step 2 by swimming in directly when you lost your fin and searching for it, try to see where the current could be pushing your fin to. Take a walk down the beach and see if the current has take it either north or south. You should be looking at the water close to shore or on shore if it washes up there. Most beaches and breaks will have the waves push your fin from where you lost it. The more time passes, the further your fin be be pushed in towards the shore and eventually right up on the sand! There is actually several ways to prevent this! Once you have used fins enough and have gone through losing your fin several (or many) times, you get smarter and have a few tricks to prevent this annoying occurrence in the first place. Floating fins are better than non floating fins. If you can, try to buy fins that float. 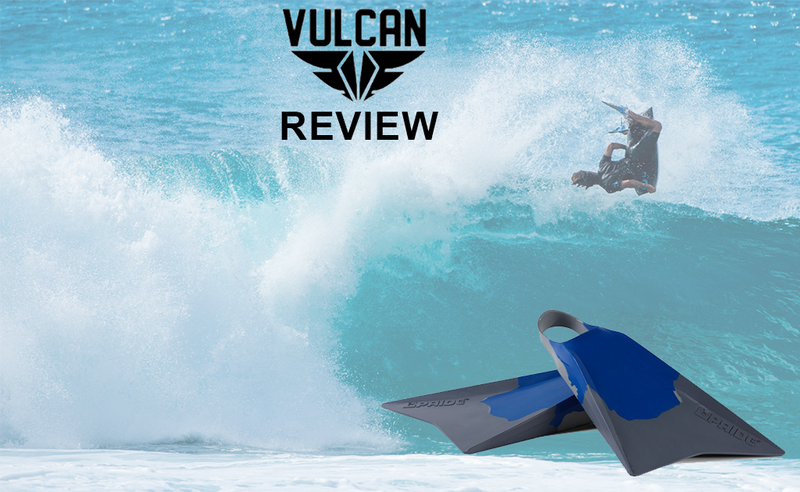 Most top-of-the-line fins on the market today offer floating rubber. Some great options for fins that float are Churchill and Stealth fins. The fin product will be labeled in its features if it has floating rubber. Just so you know, although they are “floating,” this does not mean they will be sticking out of the water or bobbing like a buoy. They float just below the waters surface. It definitely helps with finding them but just know that they will not pop out of the water when you lose a fin. Fin tethers are basically a leash for your fins. They are a product that is sold separately (around the $10 range) that is your best bet to preventing a lost fin. One part of the fin tethers is attached to your ankle and the other part is attached to the fins heel strap. So when your fin comes off it is still attached to your ankle. For more information about fin tethers read our helpful page on them! So now you are a pro at knowing what to do when you lose a swim fin. It is just part of the game and it will happen sooner or later. A lot of bodyboarders and bodysurfers have a bucket (or bin!) full of single fins from looking half a dozen or so fins over the years. And NO fin companies do not sell them in singles when you lose one!